Meet the gentle giants of Mondulkiri. Spend your summer in the lush Keo Seima Wildlife Sanctuary, studying the behavior and ecology of the endangered Asian elephant. Examine human-wildlife conflict and conservation pressures, and discuss elephant welfare and management practices. Visit the vibrant city of Phnom Penh and the ancient temples of Angkor to explore the history and culture of Cambodia. SFS provides a comprehensive study abroad experience during a 6-day/week program schedule. SFS delivers the highest level of support and an unparalleled academic experience. All students are welcome to apply for our need-based financial aid. Students who exhibit financial need for their program will be offered SFS financial aid. SFS aid is offered through a combination of scholarships, grants and loans. SFS matches Federal Pell Grant funding for students applying to an SFS semester program. Many applicants receive aid through their home institutions or other outside sources, so check with your financial aid office to see what aid may apply to an SFS program. Olivia graduated from the College of Charleston with degrees in Spanish and International Studies, focusing on Latin America. She spent her college years looking for ways to engage with global learning outside of the classroom, taking two short-term study abroad trips to Honduras and Cuba and later spending a semester in Buenos Aires, Argentina. When she was on campus, she served as a peer mentor to freshmen honors students, tutored Spanish, and led campus tours. After graduation she continued to pursue her passion for international education and student affairs. She worked for her alma mater as a Site Director for the iCharleston bridge program for two years. In this role she lived in London, advising and supervising a cohort of freshman students during a fall semester abroad. Later, Olivia traveled to León, Nicaragua where she lived for three months and earned her TEFL/TESOL certification. 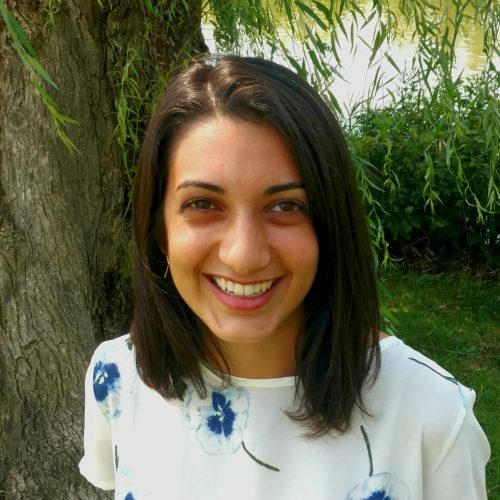 She is currently working towards a Master of Education degree through James Madison University and the University of Salamanca, which focuses on Spanish language and culture. Olivia was thrilled to join the SFS admissions team in 2018. Her own international experiences have been transformative, and she is enthusiastic to be able to help students on their own journey of global learning as an Admissions Counselor. Week 1: Introductions and orientation. Class begins at the Center in Siem Reap. Week 2: The NGO E.L.I.E and sanctuary Elephant Valley Project bordering Keo Seima Wildlife Sanctuary. Week 3: Sen Monorom and Keo Seima Wildlife Sanctuary. Week 4: The NGO E.L.I.E and sanctuary Elephant Valley Project bordering Keo Seima Wildlife Sanctuary. Closing activities. This academically rigorous program follows a six-day/week schedule. The interdisciplinary curriculum is designed to help students actively discover and understand the complexities of environmental, social, and economic issues in Cambodia. On the Elephants of the Cambodian Highlands program, you will take one 4-credit course. This course is participatory in nature and is designed to foster inquiry and active learning combining lectures, field exercises, assignments, and tests. This course is taught in English. This special topics course focuses on the ecology and conservation of the Asian elephant and the habitats in Cambodia where extant populations live. Students spend several weeks observing semi-captive elephants and visit regions frequented by wild elephants. Elephant welfare and management practices will be examined and the livelihoods of people affected, both positively and negatively, by elephants will be explored. In addition to the work with elephants, students will visit the World Heritage site of Angkor and the capital city of Phnom Penh. 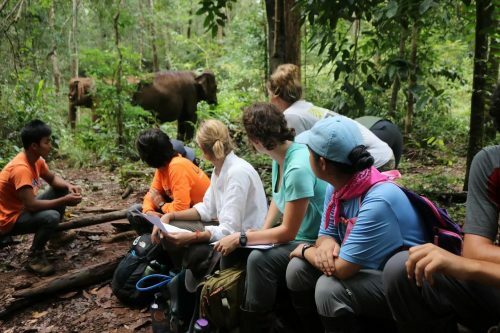 You will gain practical skills in the field such as: behavioral observations of social interactions, foraging, and welfare of elephants, quantitative field methods with a focus on distance sampling and line-transect surveys, interviewing and qualitative research methods, conflict mitigation strategy development, and data collection and oral presentation skills. 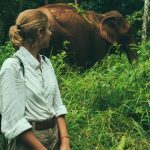 You will visit different ecosystems and communities, which may include a forested elephant sanctuary, the ancient temple complex of Angkor, protected community forests, lush evergreen and mixed deciduous forests, historical and cultural sites in Phnom Penh, and indigenous Bunong communities. Spend your summer with SFS! Get more out of your SFS experience when you take back-to-back summer sessions. More time to explore the ecosystems and communities, more time to learn about complex environmental issues, and more time to build practical skills. Each summer session focuses on a different topic, and you’ll have time to travel independently between sessions. All program components are subject to change. 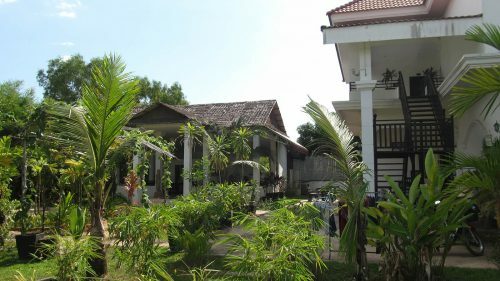 Our most urban Center lies on the outskirts of Siem Reap, near the famed temples of Angkor. Campus is a breezy, modern complex nestled in a quiet neighborhood minutes away from the bustling downtown area where you will find restaurants, shops, and markets with unique Cambodian flair. Click on the icons below to learn more about our Center in Cambodia.